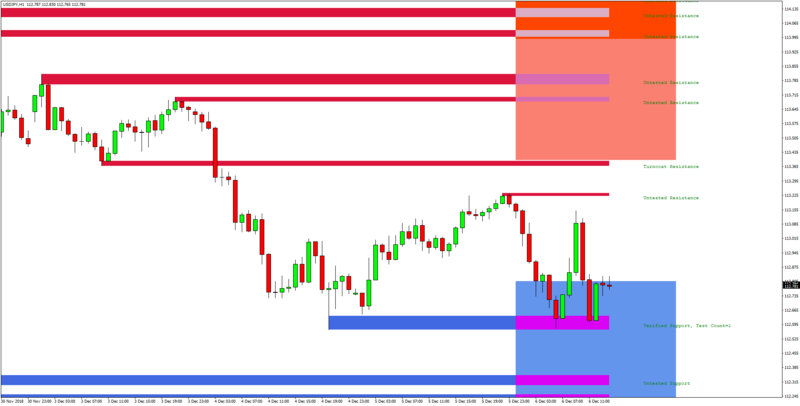 Daily HFT Trade Setup - USD/JPY reacts at HFT buying zone! We are analyzing the trading activity on HFT algorithms this morning and have noticed that the USDJPY currency pair has reached the light HFT buying pressure zone that is noted at 112.81 and below. There is additional support in this area at the 112.50 - 112.60 lows as indicated by the FxTR support/resistance indicator. This suggests there are good chances the pair could extend the bounce today. Interesting technical areas to the upside to look for targets are the 113.20 resistance and the light HFT selling pressure zone that is noted at 113.4 and above.